Many people still think that the decision of building a website is the end of their problems. However, as any expert will tell you, the real challenges begin right after this decision. The first and the most important challenge is the selection of the appropriate platform for the website. Given the number of content management systems in the market, the choice of the platform is a serious decision. The second challenge is the selection of the theme that provides the layout and the user-focused features of the website. The right theme greatly enhances the user’s’ experience and is an important aspect of the digital marketing strategy of the website. Finally, the third challenge is the choice of right plugins/extension/components for the website. These are software addons that augment or extend the various functionalities of the website. Choosing the right mix of these components is a serious enough challenge because of the potential of things going wrong because of a single wrong choice. Experts suggest that the best way of confronting these three challenges is to look within the particular niche. successful websites in any niche have figured out the answers to these three questions very effectively. 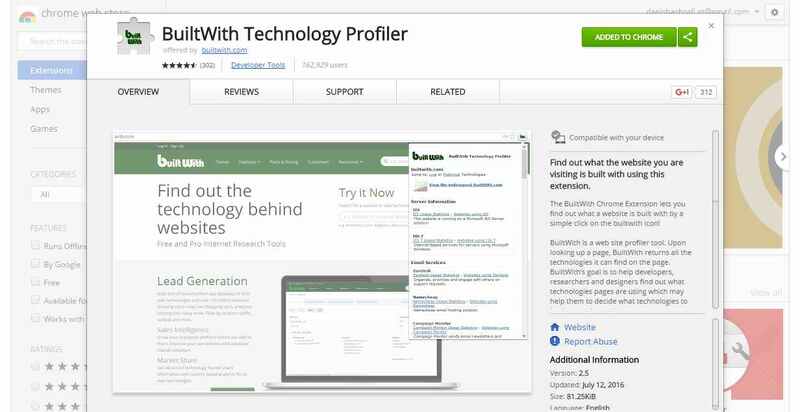 So instead of wasting time and resources in finding the right mix by trial-and-error, you could simply use a whole lineup of online tools that help users discover what platform, theme and plugins a website is running. Let’s start with the tools for discovering the CMS a website is based on! You do not have to dig into the code of the website to find out the CMS of a website. There are plenty of tools that do the job for you. 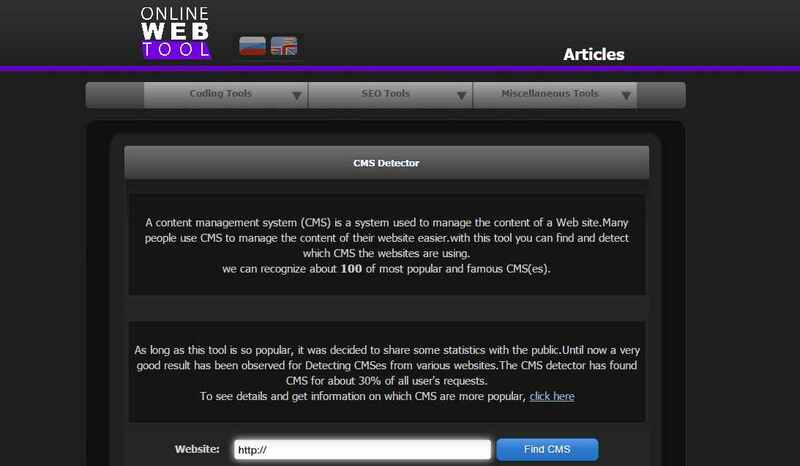 Here is a list of the best online CMS detector tools. WhatCMS is a respected online CMS detector that could detect 142 different CMS applications and their services. If there is website that slips through their system, WhatCMS people update their database immediately! This tool works closely with WordPress. The tool offers a lot of information about WordPress based websites including the theme, plugins, underlying hosting, and other information. Allora is another well known tool with a database of over 2200+ CMS/frameworks. The tool could even offer suggestions and recommendations based on popular themes and plugins. The list is dynamically maintained, enabling you to check out the latest themes and plugins used in your chosen niche. OnlineWebTool is a complete set of tools for detecting themes and related information. The best thing about this tool is the ability to carry out comparisons with competitors’ websites. 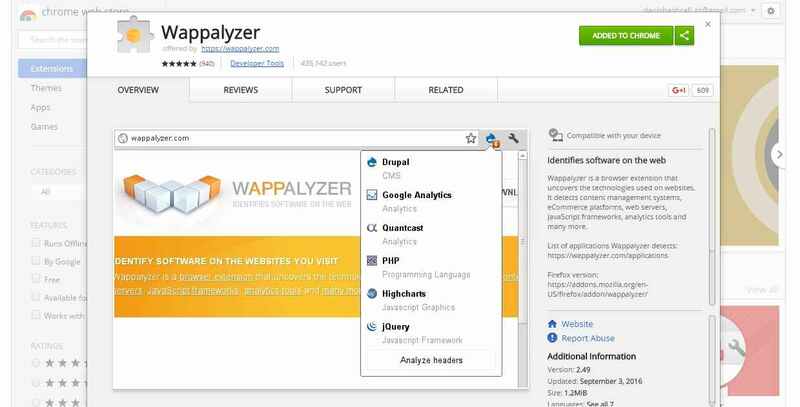 If you don’t want to use a web based tool, you could Wappalyzer, a very useful Chrome extension. just visit the website you want to check out and click the Wappalyzer button to check the theme and related information. So now that you know what CMS a website is using, let’s dig a little more to find out about the themes and plugins. Just paste the URL of the website you like in the WPThemeDetector and it will provide you complete details about the WordPress theme and plugins installed on the website. The tool also offers a list of best themes and plugins along with the details of the developers. Built With offers technical information about a website including the complete stack that powers the website. The information offers is pretty comprehensive and include web server details, SSL certificates, and hosting provider. Scan WP provides in-depth information about your target website. The range of information includes the whole lineup of the plugins with the percentage of the websites running a particular plugin. Scan WP goes an extra mile and shows keywords and recent traffic results as well. This website not only detects the WordPress theme but also any child themes, if present. Moreover, you also get complete information about the plugins installed on the website. 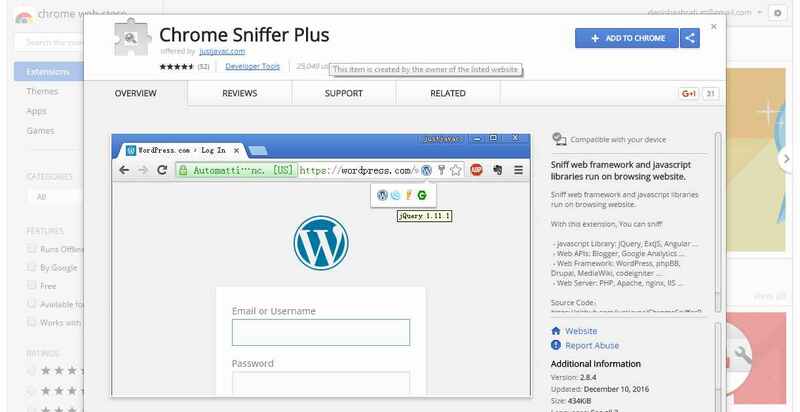 This tool offers information about the installed WordPress version, themes and plugins. The tool also offers stats about the detected themes and plugins. Chrome offers a number of extensions that are designed to discover all about WordPress websites. Targeted toward developers and lay users alike, these extensions provide a surprisingly detailed information about WordPress websites. In a single click, this extension offers in depth information about the website opened in the tab, including the CMS, servers, email services and more. 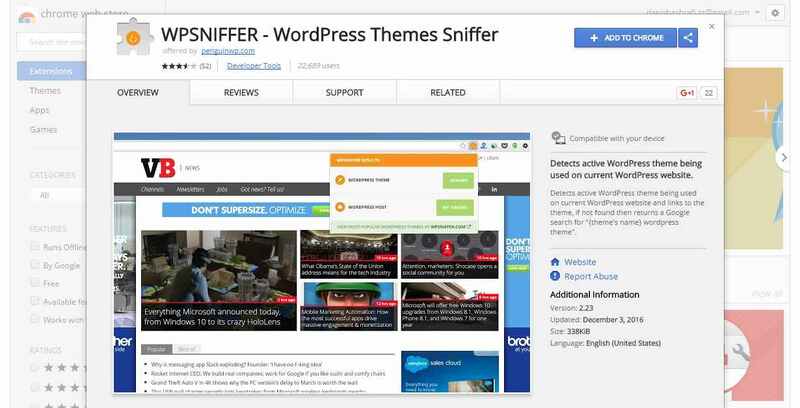 With WPSniffer, you can see the active WordPress theme installed on a website. This is a very simple and handy tool for developers and designers that regularly work with WordPress. There are websites that defeat all attempts at discovering the installed theme and plugins. In such cases, you could use the following tips to find out the themes and plugins. A good number of web developers do not even bother to change the footer text and links. In the case of such an oversight, the theme’s name and the developer’s information is right there in the footer. Right click on the page and select the View Page Source option. Alternatively, press CTRL+U to view the source code of the page. The page containing the source code often have links to external and internal linked files and CSS. You can find the theme’s name by searching for the term theme and the sub folder of the theme as shown in the screenshot below. The second option is to find the CSS linked to the page. In almost all WordPress websites, this file is named style.css. This file is generally located in the wp-content/themes directory. Just do a quick search with CTRL+F for style.css. Once you are inside the style.css, you can easily discover the name of the theme. Sometimes, you may have to search a little deeper in the file. however, once you have the name of the theme, Google for more information. In order to save a lot of time and effort, I recommend you make a list of the websites of the competitors and then use one or more of the above-mentioned tools to discover more about the CMS, themes and plugins. If i have missed your favorite tools or you face problems in using a particular tool, leave me a comment below.